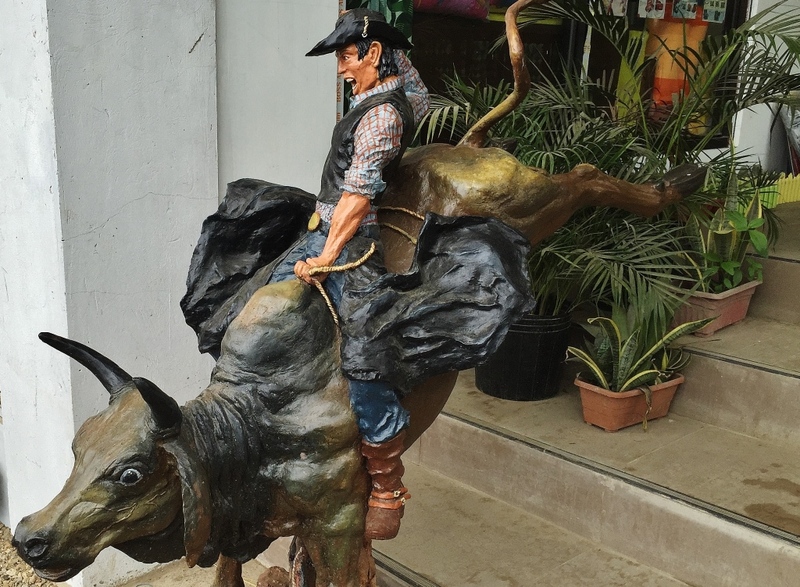 As I keep returning to Masbate to attend the annual National Rodeo Finals, I find that more and more hotels have opened, and more are opening. 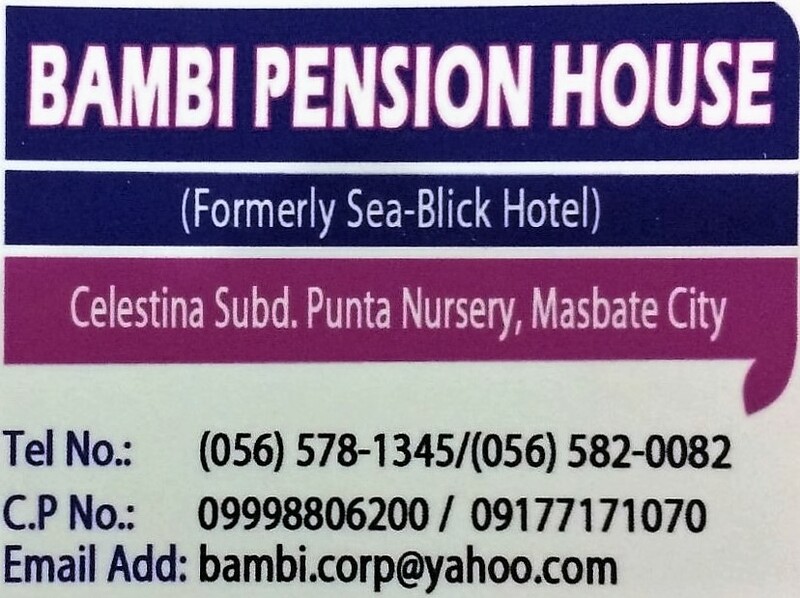 In contrast with my first visit to Masbate in 1978 when the only hotel then was one near the pier, and is not anymore operational. In 2013, I was happy to return with some room choices. And after many more visits, I am ready to share with fellow travelers the accommodations options on this beautiful island. As a Top Contributor on TripAdvisor, I find it strange that only the older, and rather decaying ones, are listed and reviewed. Last week, I caused the listing of a hotel that I thought should be there, so that fellow travelers can likewise share their experiences and prospective visitors will be better guided. 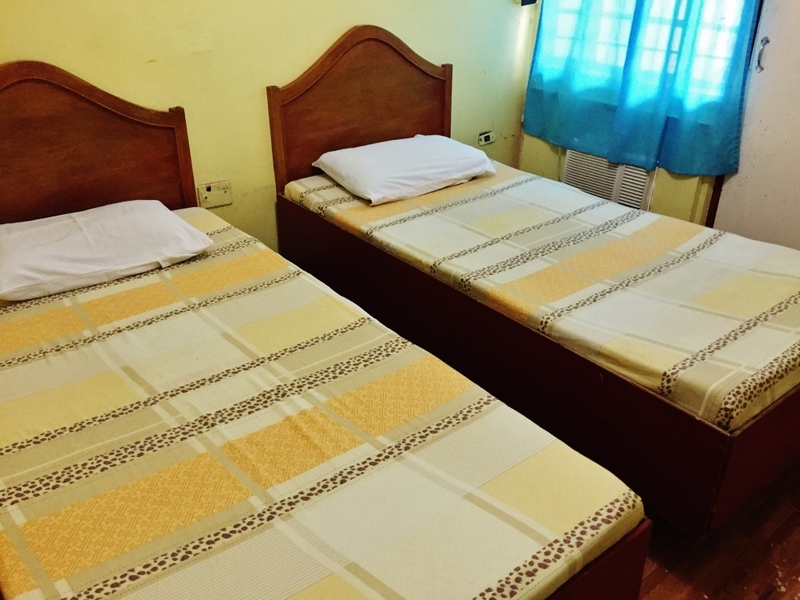 This blog is definitely the most comprehensive listing and review of Masbate hotels to date. I stayed at Ranchelle two weeks ago and was so impressed, making me conclude it is the best hotel within the city, that I immediately wrote a TripAdvisor review, only to find out it was not yet listed. Probably because I am a tripadvisor Top Contributor, they eventually included Ranchelle in their listing, publishing my review. 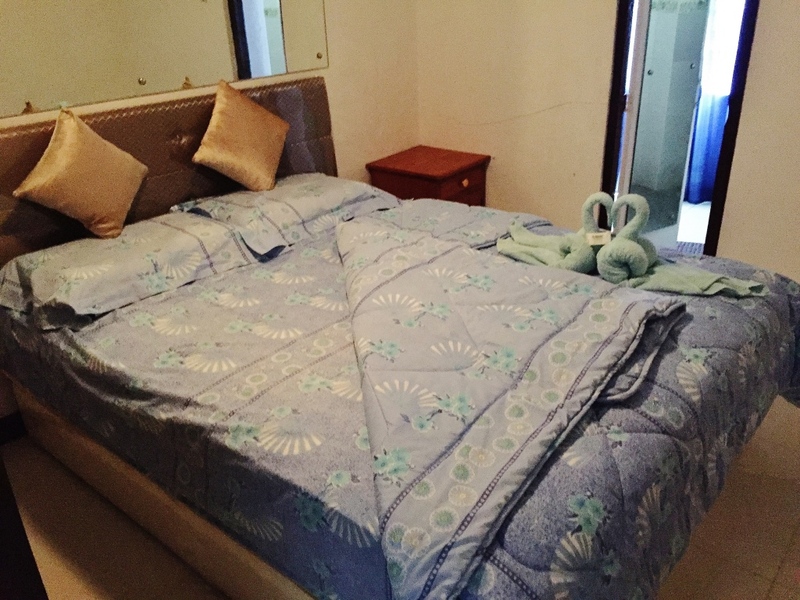 Nice clean room, crisp linen, 4 pillows, clean blanket, bottled water, white clean towels. The only downside is that the place can get so busy with weekend outings of local families. I was out most of the day anyway, and the place was blissfully quiet at night. 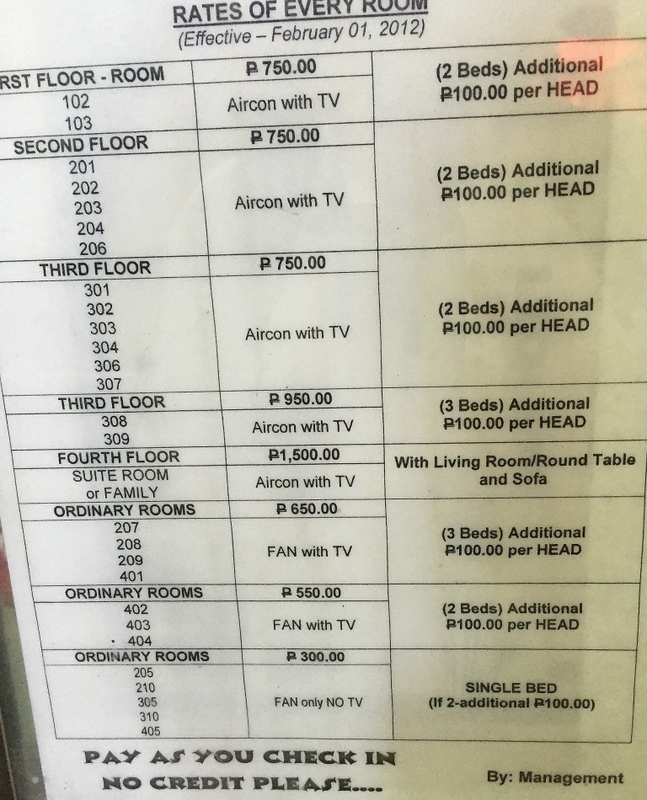 This hotel surprised me when they accommodated my request for a reconfiguration of a family room when I was deciding on which hotel to stay in when I attended Rodeo 2015. The owners (whenever around, as they are in the USA a good part of the year) are very hands on and quite friendly. The location is a plus, having drinks at the front of the hotel while watching the ocean. My room, reconfigured to my wishes. Room 8. 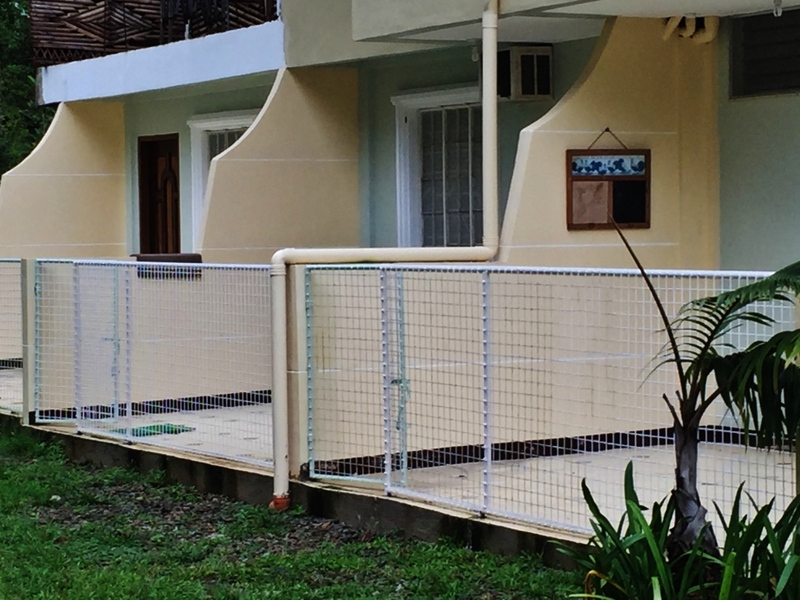 With verandas, albeit small, on both sides. 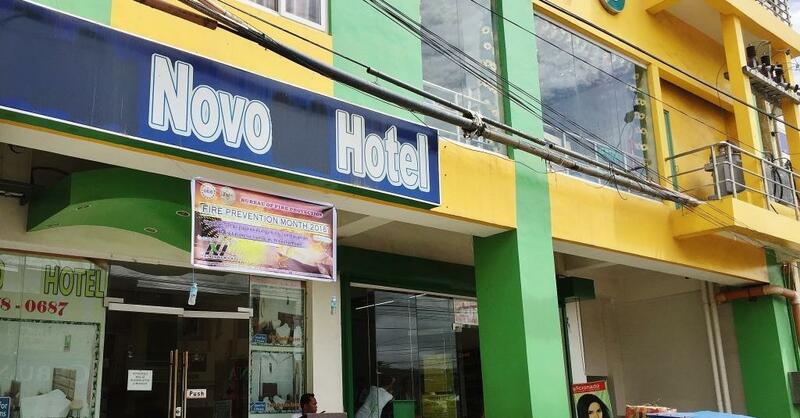 Novo Hotel is the only high-rise hotel in downtown Masbate, right smack at the city center. 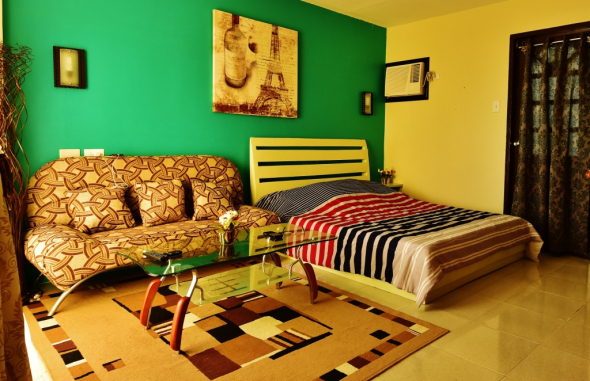 It is extremely popular because of its location and inexpensive pricing. 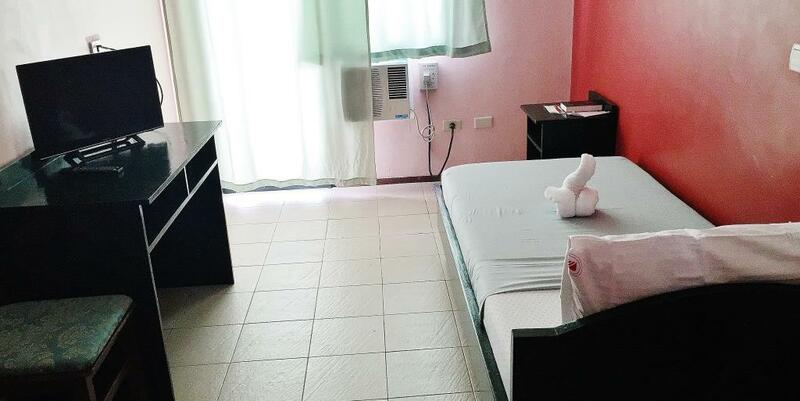 Aircondtioned rooms go for P900 for 24 hours, and check out is dependent on the guest’s check in. 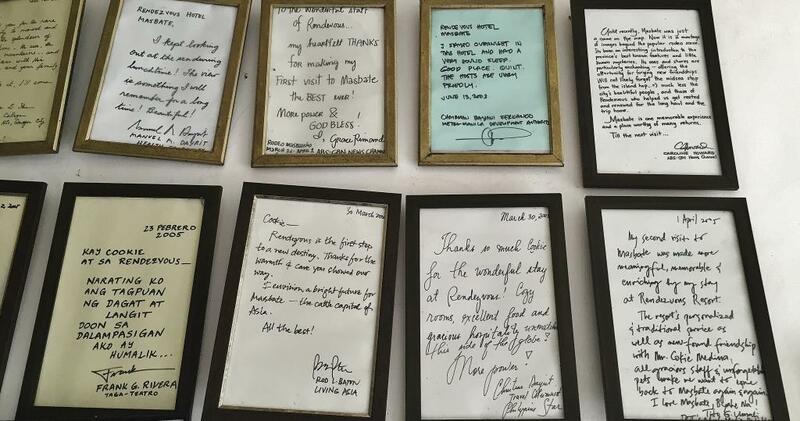 The presidential suite goes for a mere P1,400, (but was racked up to P1,700 on the week of the city’s most popular event, the Rodeo festival. All room rates actually go up during this peak season). The bigger family room is just slightly more expensive. Telephone number +63 56 578 0687. Call to check if they have a room: this hotel does not accept reservations. I stayed at Greenview on my first rodeo in 2013. The top floor of the unit burned the other year, but the hotel has since been fully restored. Pretty nice hotel, nothing luxurious but good value. The room at the structure before the main building is nice. 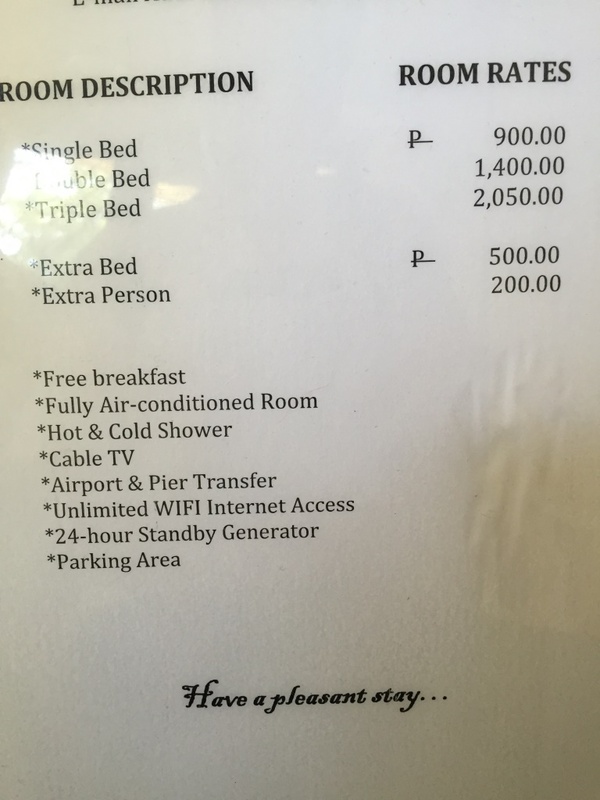 Rates: My room was P1,500. 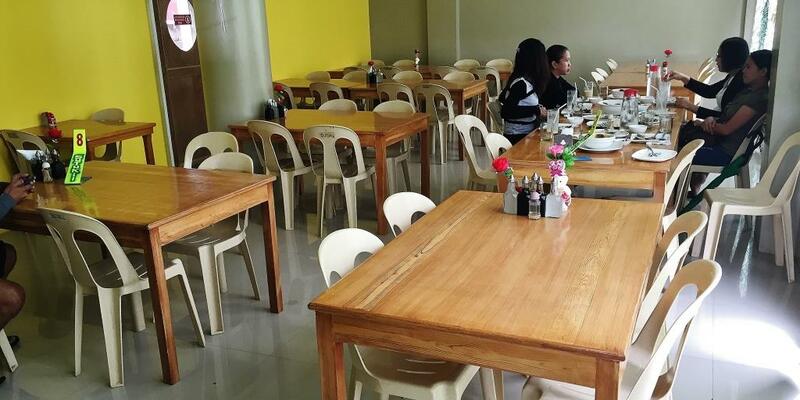 This is a new option, tucked away in Himomoro, within Masbate City. 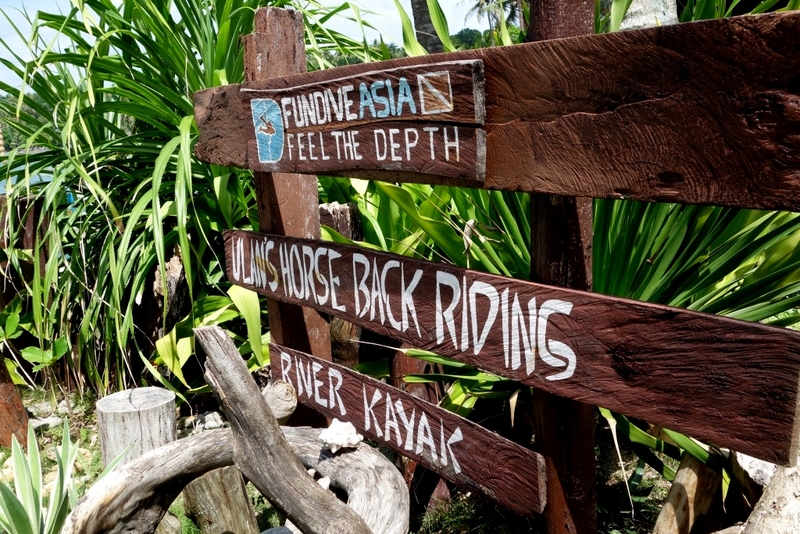 Best reference is Gagay Resort, right beside the new Safe House. 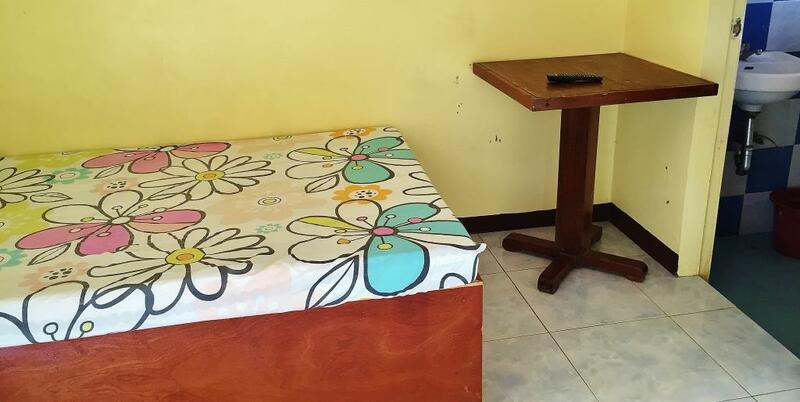 Safe House at the moment only has two airconditioned rooms but accommodations for each room can go as many as 6 pax, with extra mattresses provided by the owner. Presently under construction is an events venue, plus two more rooms. Safe House has become a destination. 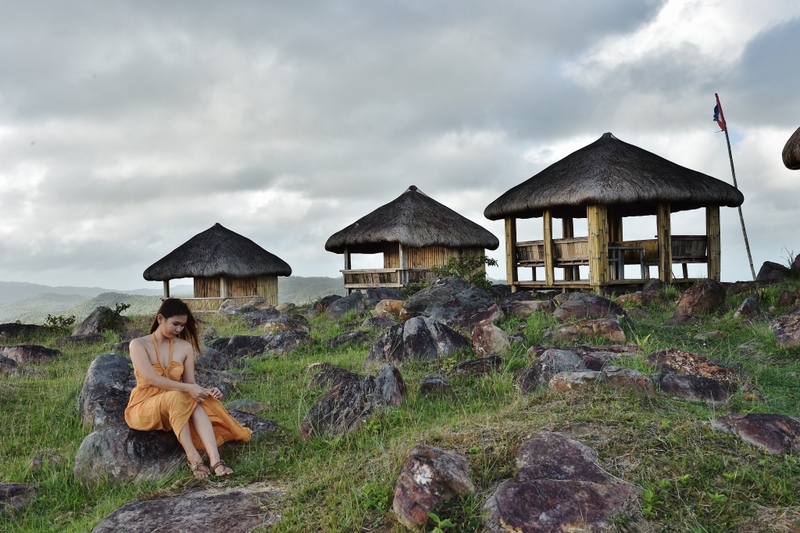 It has the “I Love (heart) Masbate” sign with the very famous Buntod Reef on the background. 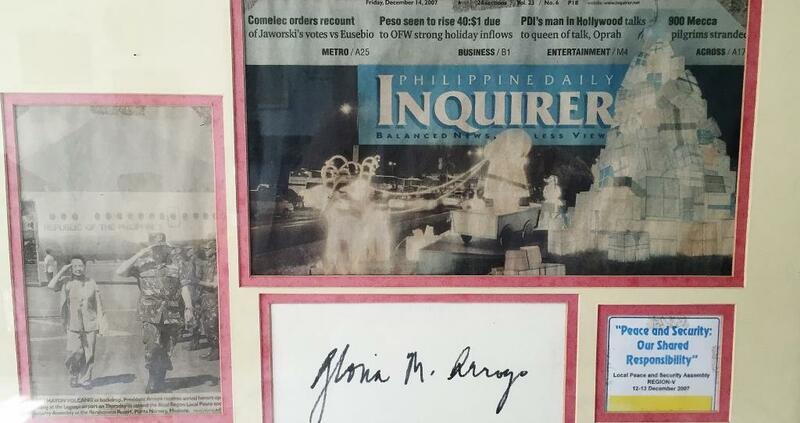 Even the province’s Vice Governor went to safe House for that beautiful photo op. Another attraction is the steel railing where lovers can seal their love for each other with pad locks, inspired by how lovers seal their loves with pad locks on bridges in Paris. 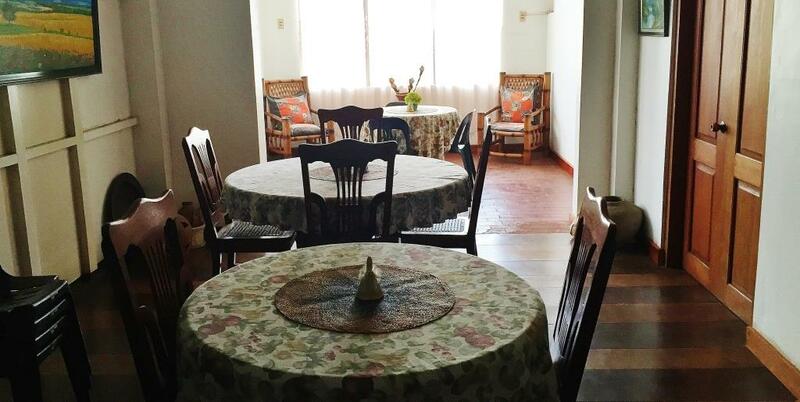 This is a preferred accommodation by sensible, budget-conscious travelers, including foreign backpackers and local executives who want local flavor in an old provincial home. 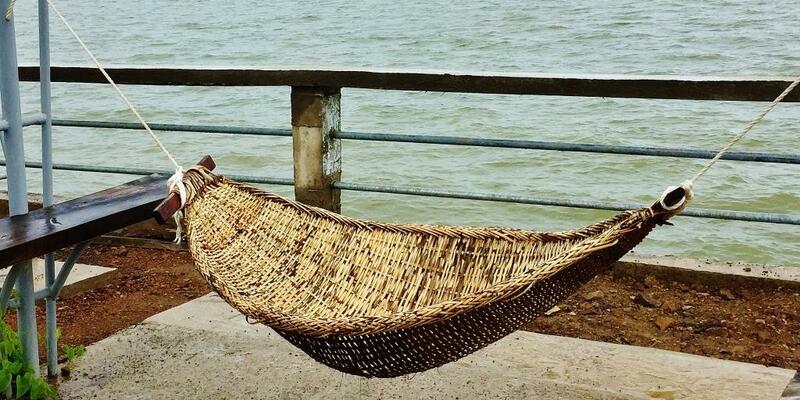 No fuzz, just comfortable accommodations. Flowing coffee, mineral water, cheap wifi, free breakfast. 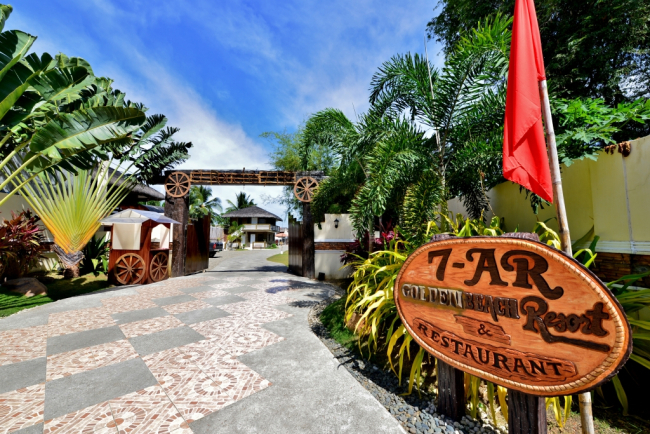 I instantly liked 7-AR when I saw this resort-hotel. Only, I was told by a friend that the rooms are small. And I personally like spacious rooms, so I have not stayed here yet. But I checked out the rooms two weeks ago and, while the rooms are not big, they I thought were good enough. 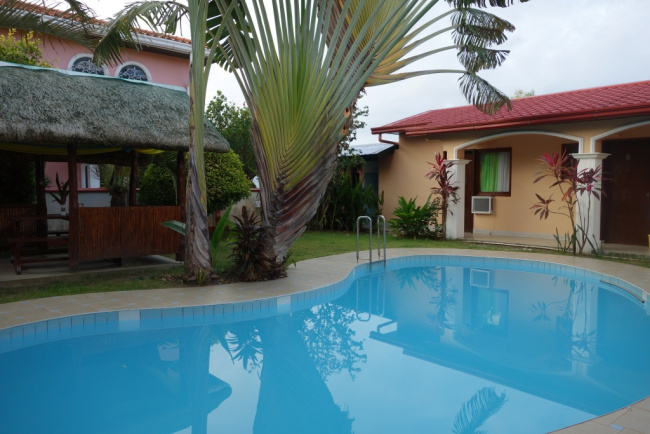 The plus is the hotel’s location, and the beautiful swimming pool by the beach-side. 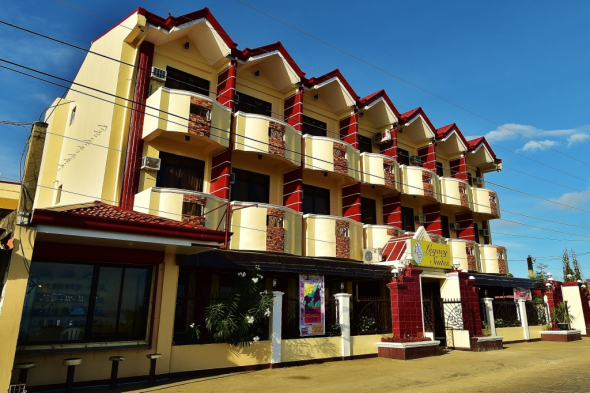 MG Hotel is described in old reviews as the best hotel in Masbate. 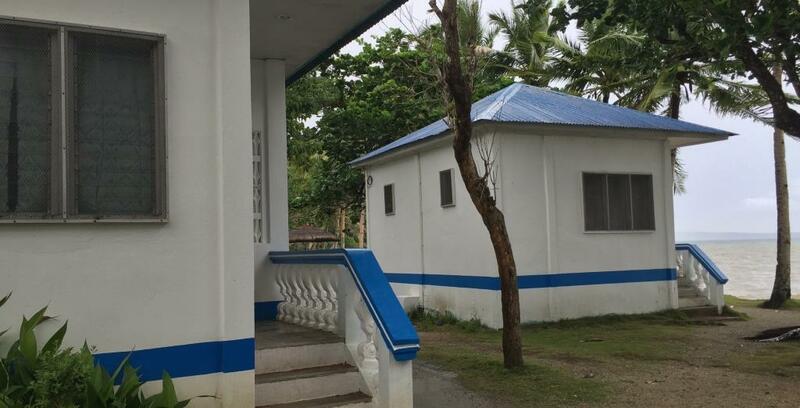 Indeed, I was told that President PNoy stayed there when the plane carrying Secretary Robredo crashed, and the president and his cabinet trooped to Masbate. When i stayed there last, I noticed that the hotel was not well maintained, and I noted this poor maintenance in my review. Not really that bad, maybe it was just my room. But after seeing the other hotels, MG can not lay claim to being the best. Bambi Hotel used to be Sea Blick, then managed by MG Hotel. As a stand alone hotel, they now have their own coffee shop. 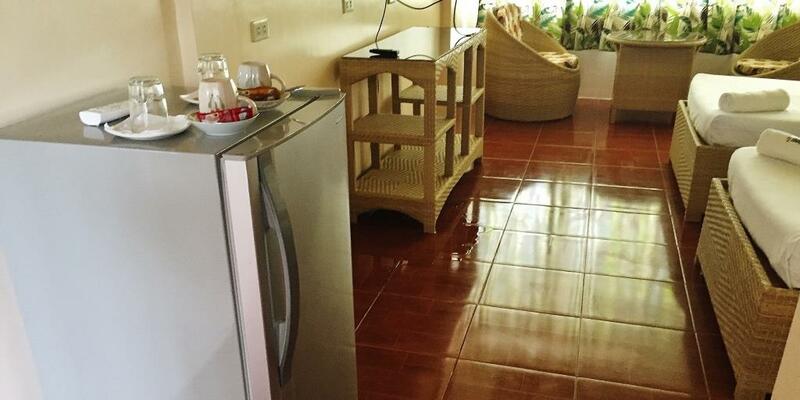 Room rates include breakfast, hot and cold showers, cable TV, wifi, transfers to and from the airport or pier, and they have a stand by generator. 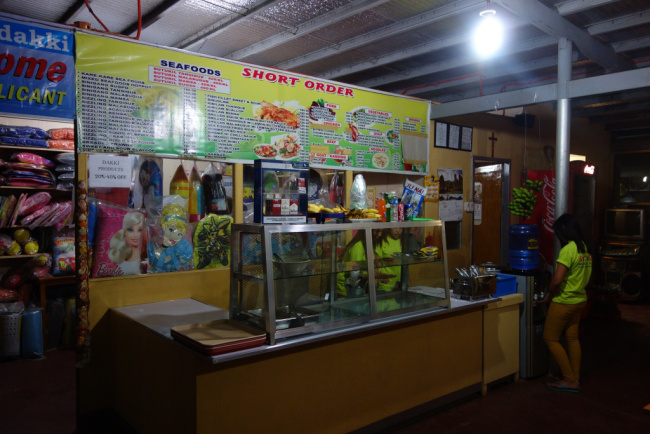 A pleasant surprise is that they accept all major credit cards, in very sharp contrast with most Masbate hotels. 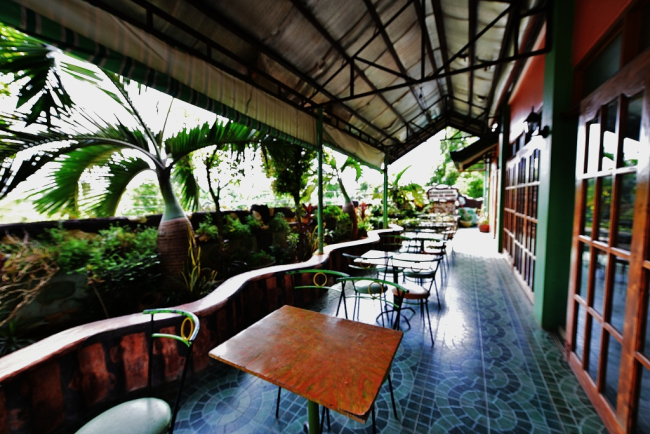 Rendezvous is one of the earlier hotels in the city, and has been home to many famous personalities. 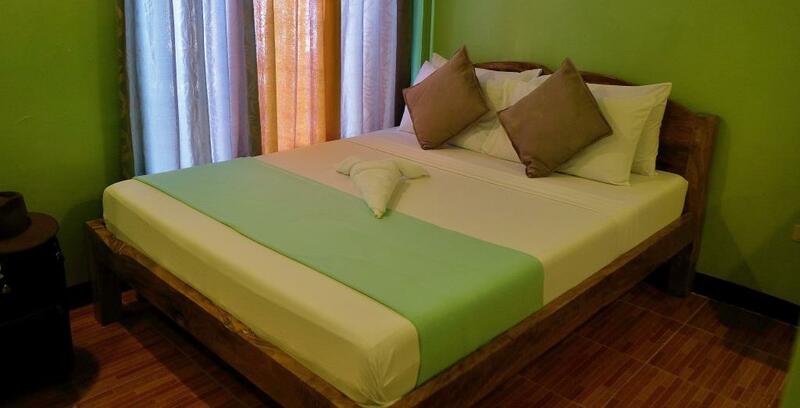 However, with the opening of newer hotels, Rendevous has become a mid-range hotel. 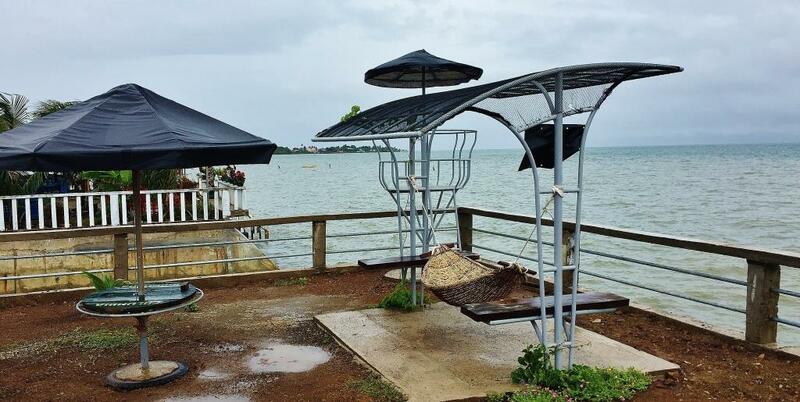 It was also a most visited destination when the wharf going to the famous Buntod Reef was still operational, but the wharf has gone down because of a recent typhoon. I chose to have lunch here on my last visit. 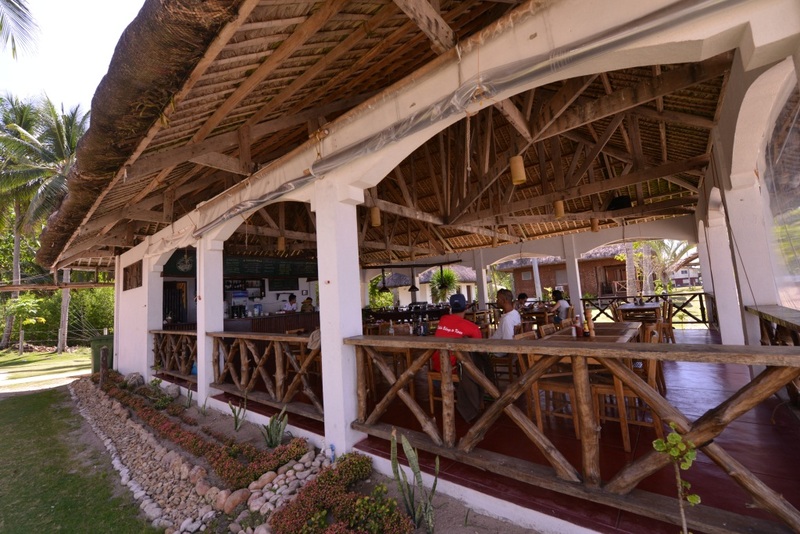 The al fresco setting by the beach is always a nice lunch or dinner experience. 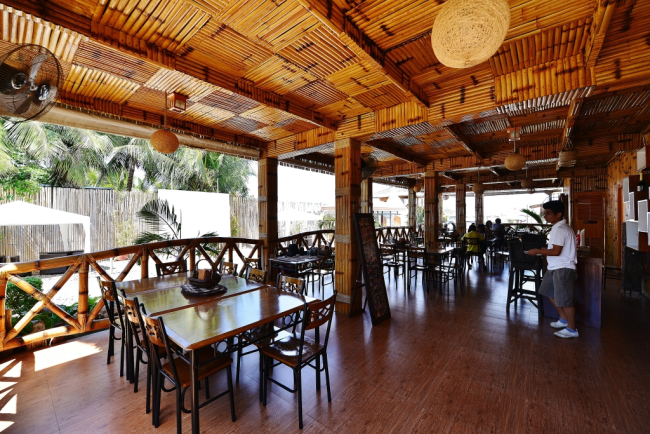 A major plus is the amiable owner/manager of the resort hotel, an active community personality and a warm host. 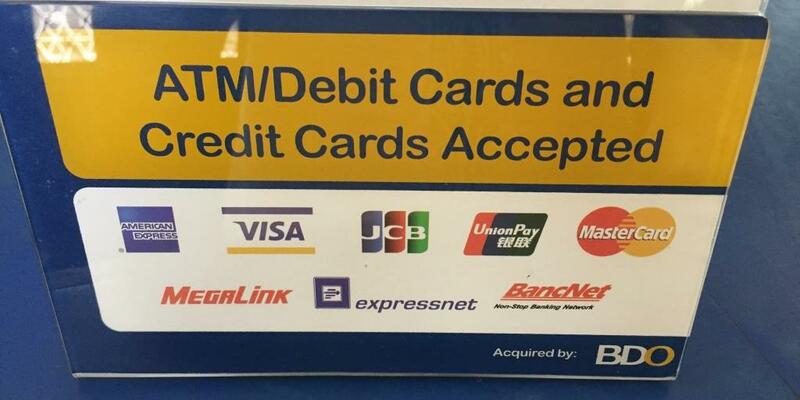 Rates: P800 – P1,500. Breakfast not included. Wifi in Restaurant. I have been seeing this hotel on my past visits and so I decided to check this out two weeks ago. 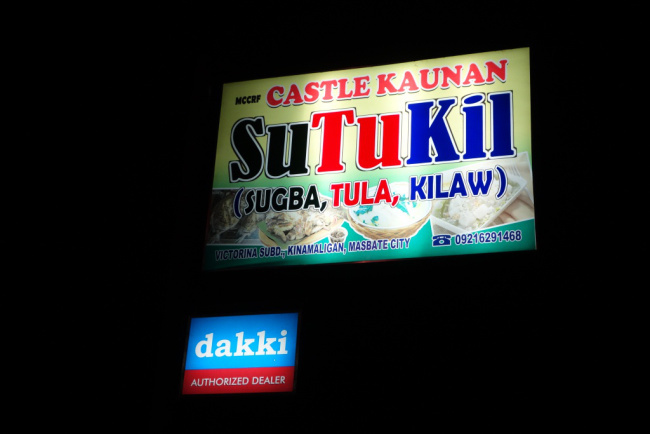 It is right smack at the city center, along Quezon Street, the city’s main road. 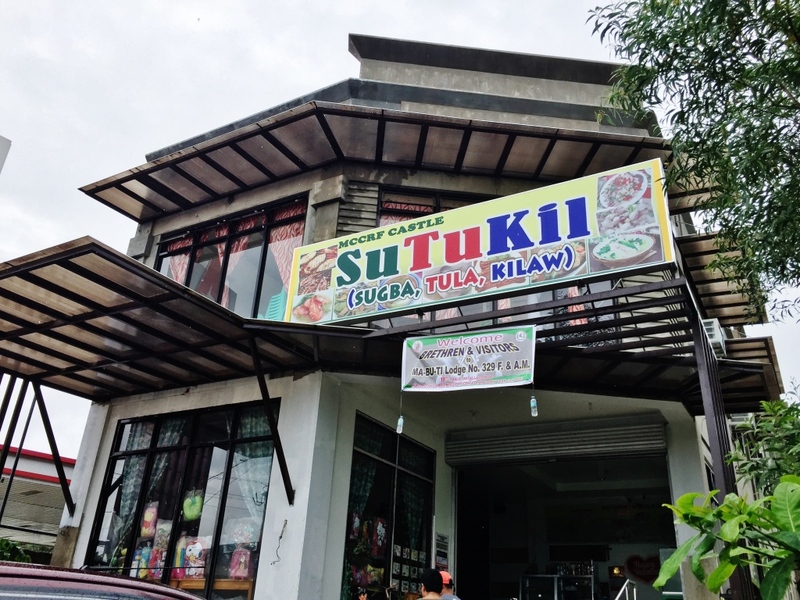 The entrance to the hotel is a narrow hallway from the road, beside a restaurant. 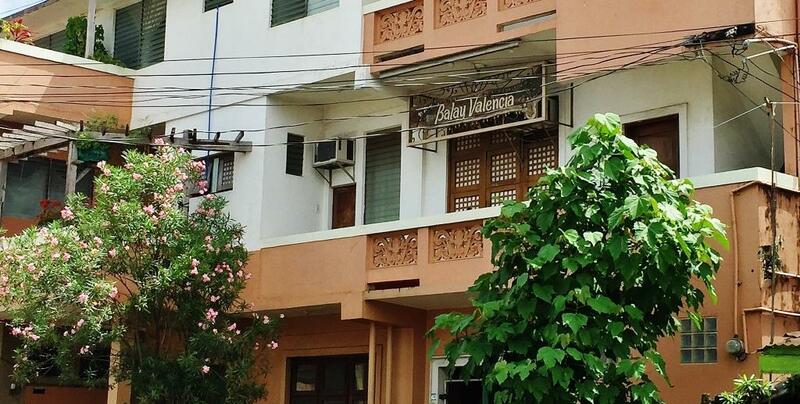 The hotel signage is prominent, and can not be missed. 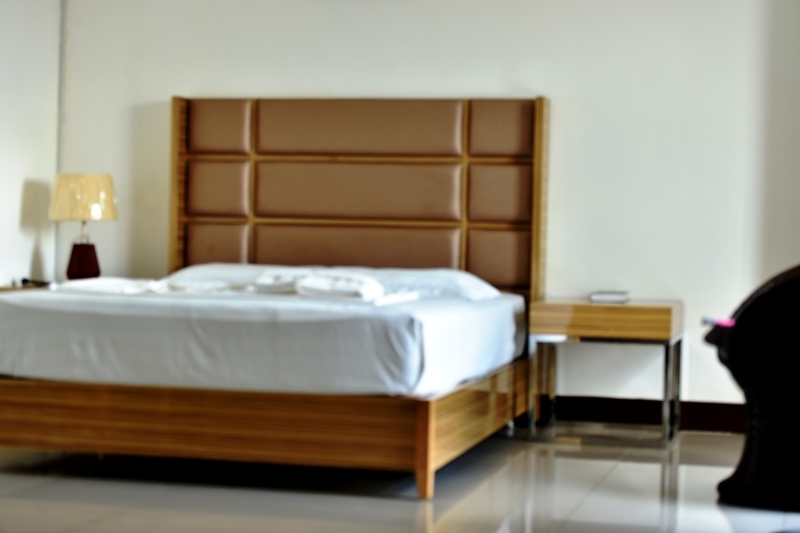 the most expensive room of the hotel has a good orthopedic bed and high quality beddings. 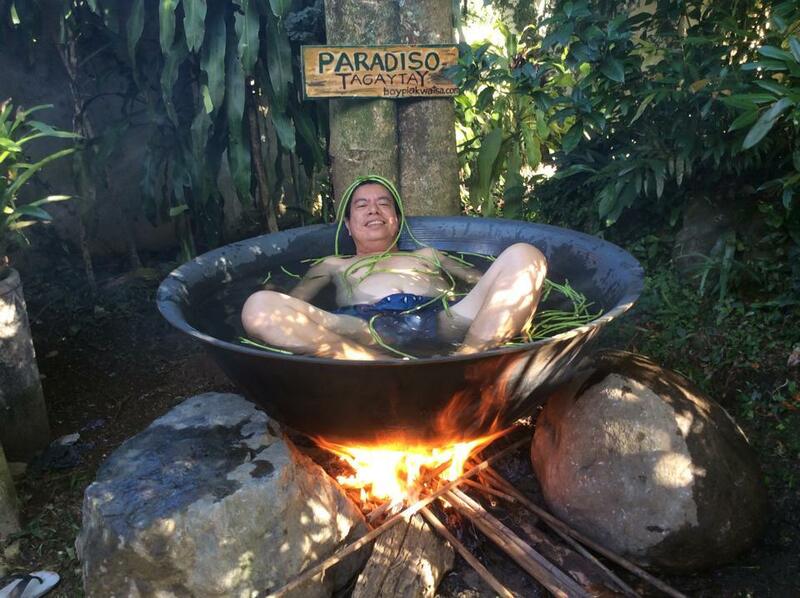 P2,500. I once stayed at GV Hotel so that, as a blogger, I can share hotel standards and services from the best hotel to the least. 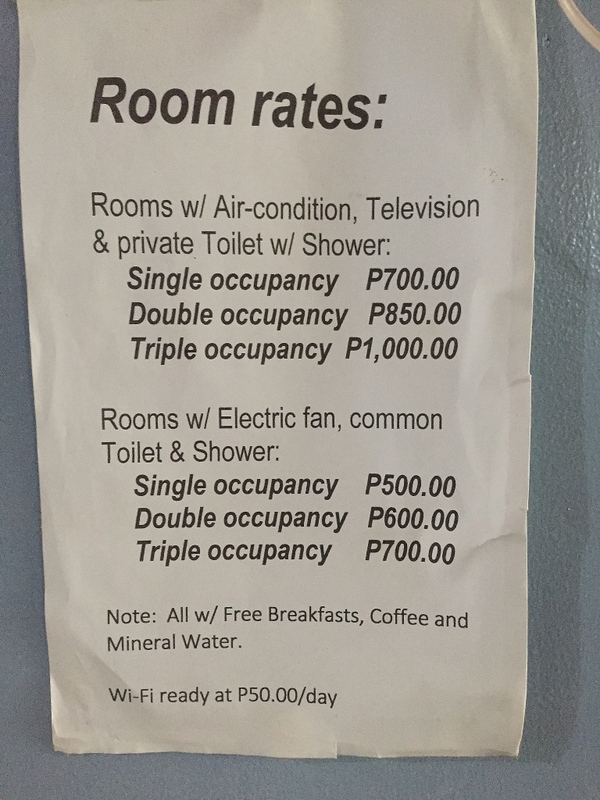 I rate GV the least, until I come across a lesser hotel. Strange that this hotel which is part of a chain does not even have a coffee shop, nor a store. I had to go out of the hotel to buy biscuits, bread, and drinks tto tide me over when I get hunger pangs at night. The hotel’s maintenance also needs improvement. I asked to be transfered to another room because of the stink in the room originally assigned to me. 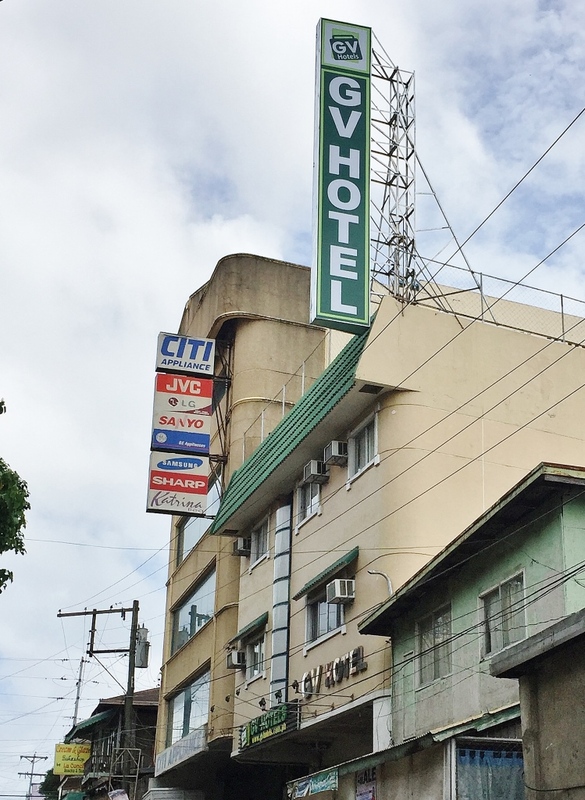 For travelers on a budget, GV can be an acceptable accommodation. as long as you know how to cope. And make sure you get a clean room. 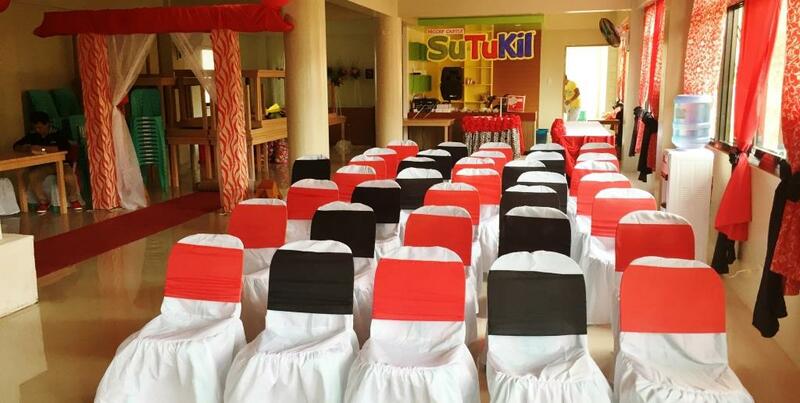 Rates: Fan Room P1,050, Standard AC P1,440, De Luxe P1,800, De Luxe family (4pax) P2,800. 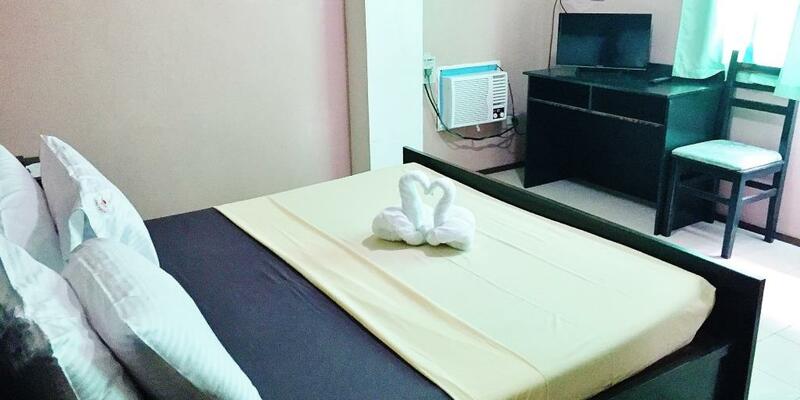 The hotel runs promo rates with 50% discount on some months. When I visited, the signage was not even up yet. So if you go right now, you may not find it. The one in charge just mentioned that the name of the whole property will be Bach Cottages. 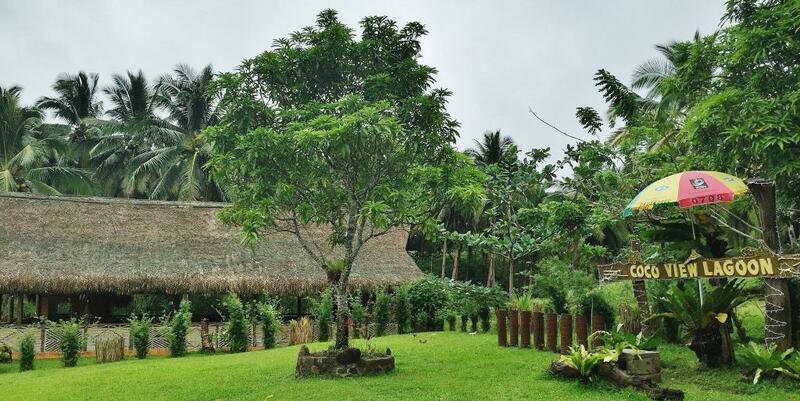 In case you visit and not see the sign, look for the cluster of cottages beside the Magrovetum on the Boulevard, in between the mangroves and the activity hall of the Masons, before Rendezvous Resort. 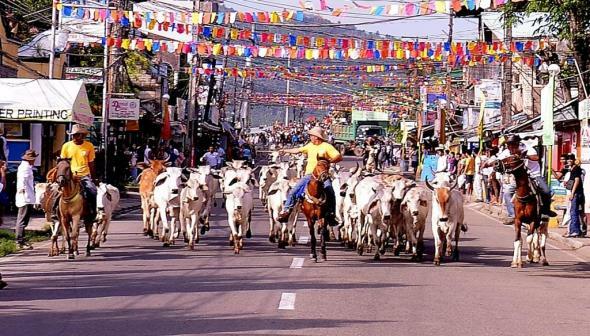 Bituon is 10 kms east of Masbate, in the town of Mobo. It is an extremely popular resort, with more than one kilometer of white sand beach. 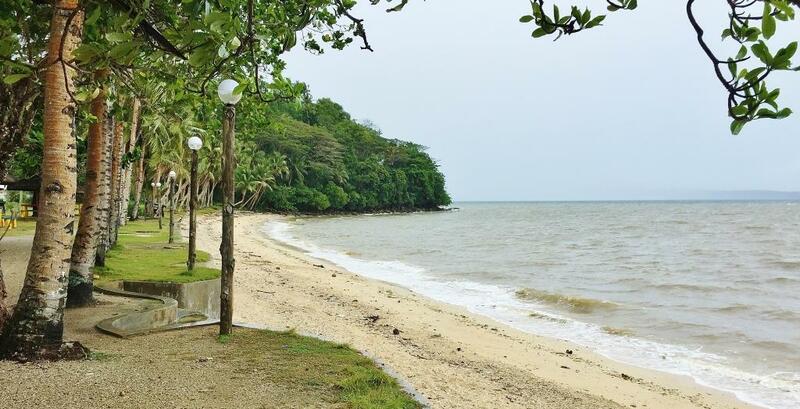 There are huts and tables for picnickers, as well as non-aircon and aircon cottages facing the beach. 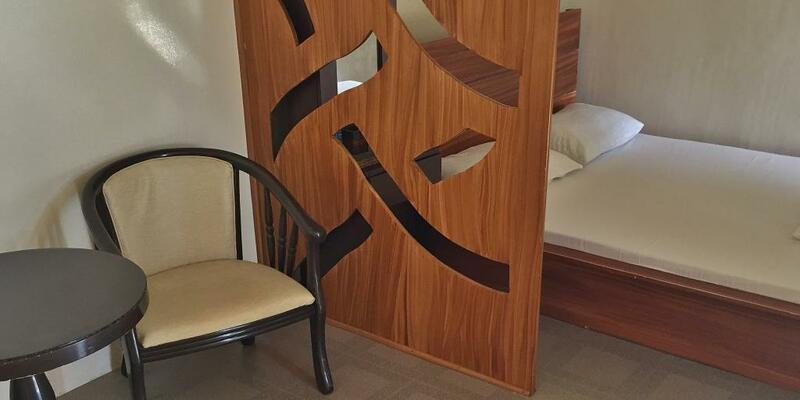 Yet there are cozy, well-appointed rooms that cater to the more discriminating. 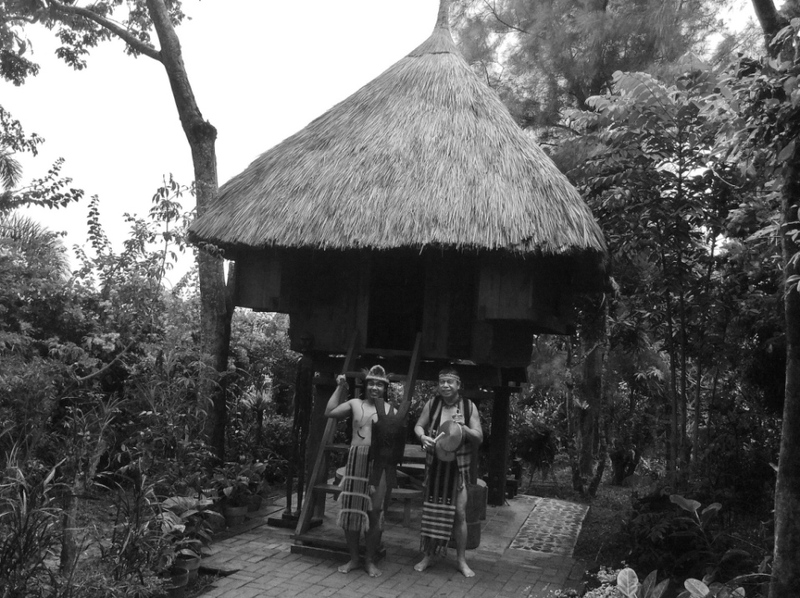 A popular TV personality who visited and taped for his travel show stayed at Bituon. This accommodation is on another island. I went there by boat from masbate City, and thru a habal habal (backride) on a single motorbike. 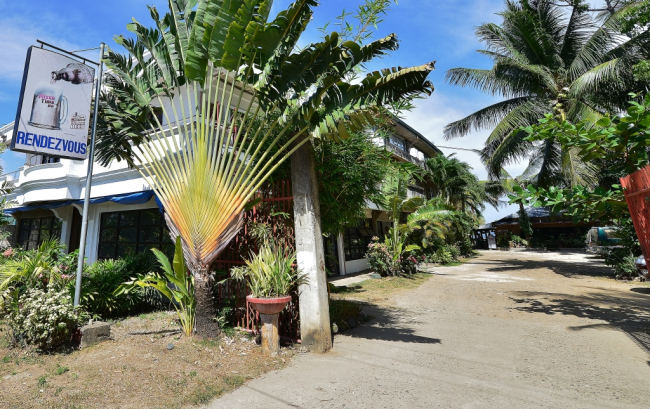 Ticao Island Resort is popular as a dive resort and clients mostly come by boat from Donsol, Sorsogon. 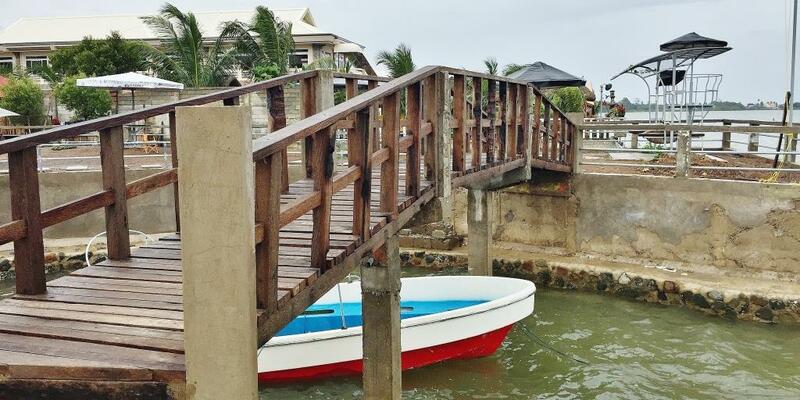 I was the only Filipino when I checked in at Ticao Island Resort. 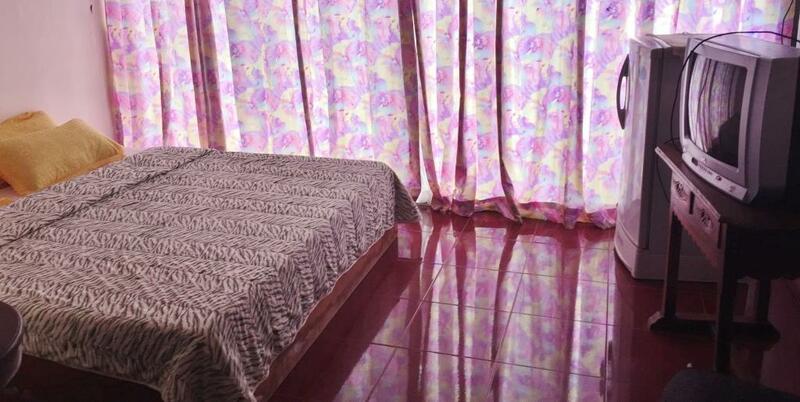 It is high-end : P7,000 cottage that can accommodate 2 pax, full board. If you travel solo you still have to pay the full rate of the cottage. It is beautiful, though, and worth the price. This is not a hotel nor a resort. 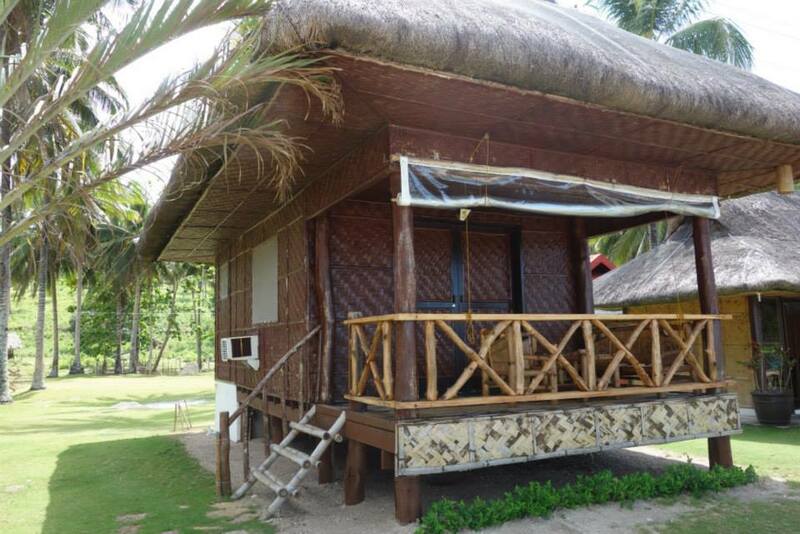 But when I went there I found out that the cottages can be rented for P200 overnight. There are no provisions. The floor is made of bamboo slats. My friends who stayed overnight brought thick blankets and jackets with them as the temperature up this hill can drop in the evenings. A couple sells coffee and other canned goods. Best to bring your provisions. Visitors are not guaranteed of accommodations, and you may want to be ready to pitch a tent. There is a toilet within the premises. 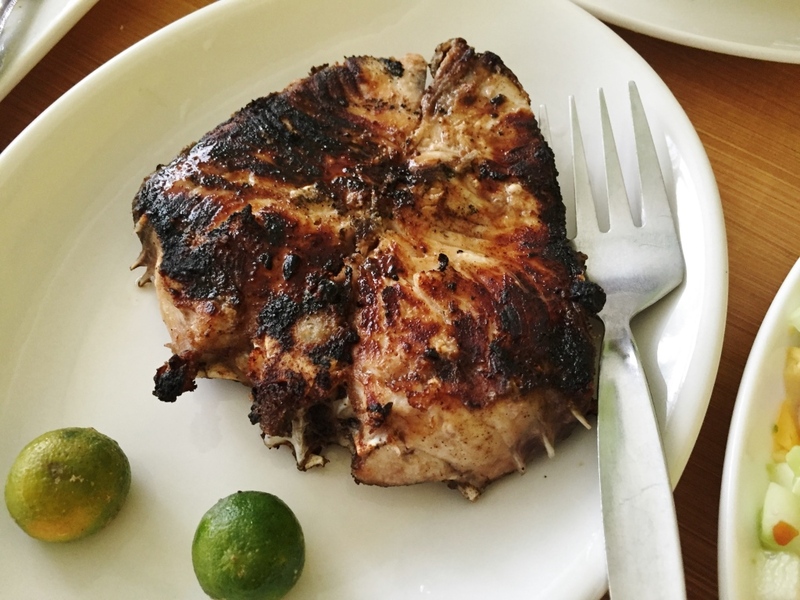 Mayong Payong is on top of a hill in nearby Mobo. Visitors hire habal habal (back-ride on a single motorbike) from the turn off at the highway. Ask around how to get there. 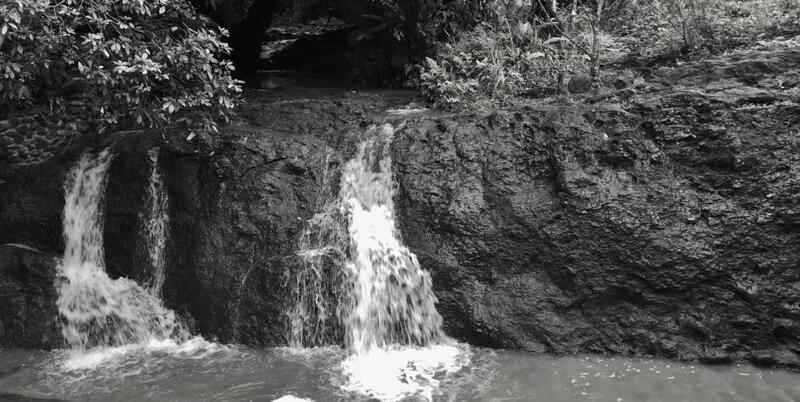 Coco View Lagoon is a picnic destination featuring a series of fresh water pools from a waterfall that flows into the property. 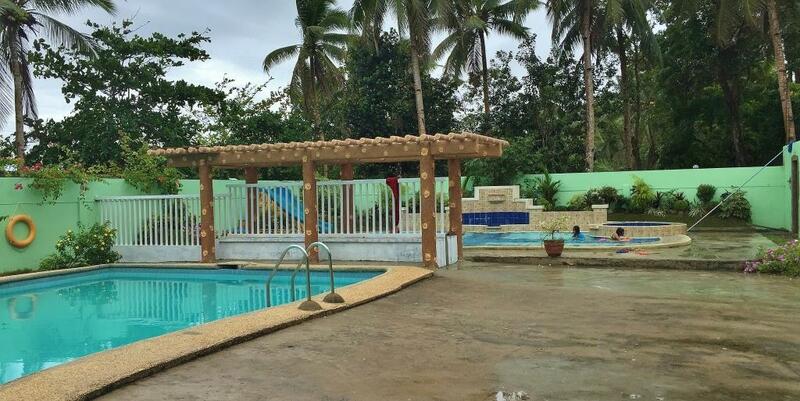 sections have been created to manage the depths of the pool such that there are kiddie pools. 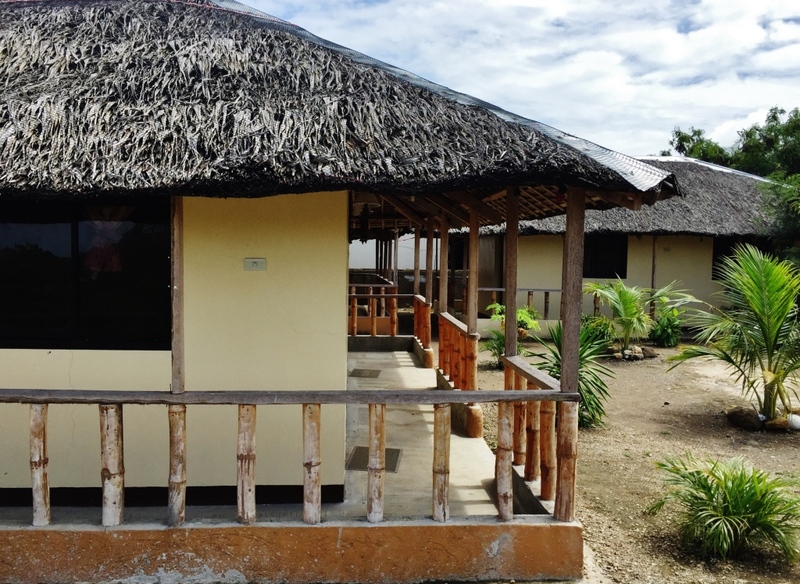 Picnic huts are rented for P200- P400 depending on size. 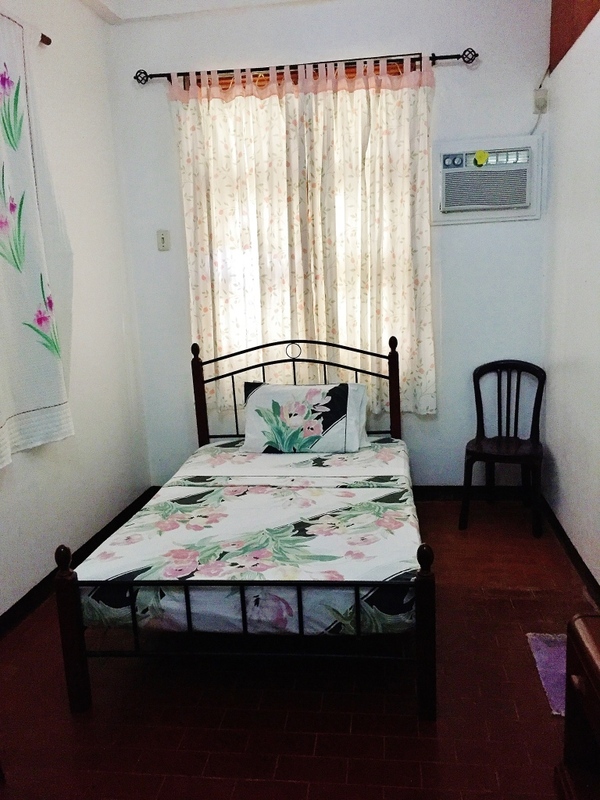 Overnight accommodations can also be arranged in air-conditioned rooms. Buntod Reef is a protected marine reserve. A marine sanctuary frequented by visitors during daytime. I have heard of friends who have stayed overnight. 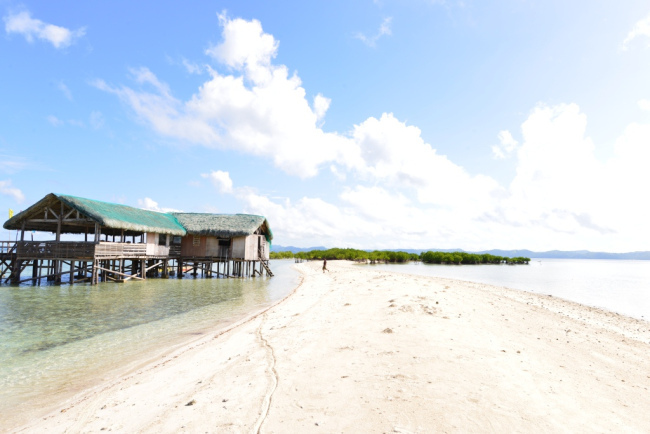 Check with the Tourism Office who can coordinate with the Marine sanctuary if you intend to camp overnight on this most beautiful Masbate white sand beach, actually a sand bar. If the authorities would not anymore allow overnight camping on the reef, just then try to visit for the day. 19. CAMP ON AN ISLAND. Masbate has many islands with pristine white sand beaches, many of them unknown to most locals. 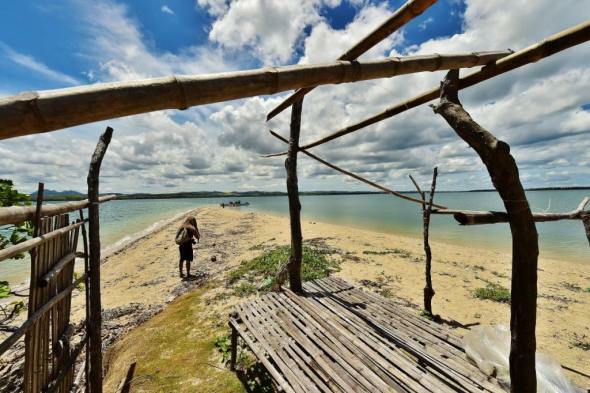 I went one such island then, actually with a long sand bar at low tide. The island is called Nabuktuk and is accessed from the pier of Mandaon. You might yet find your “old man and the sea” story. 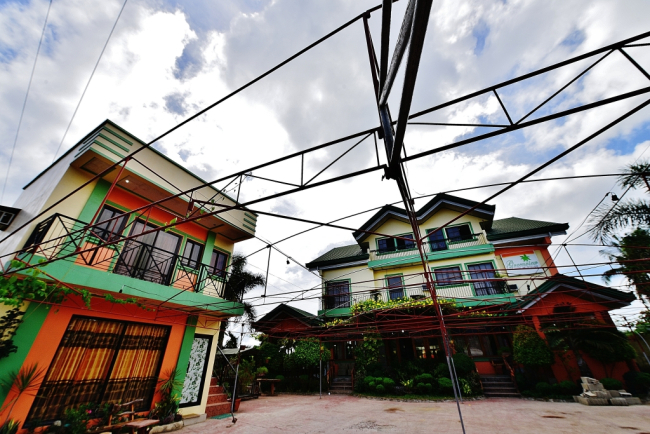 This is a most unique accommodation, and available only in San Juan, Mandaon, around Masbate. 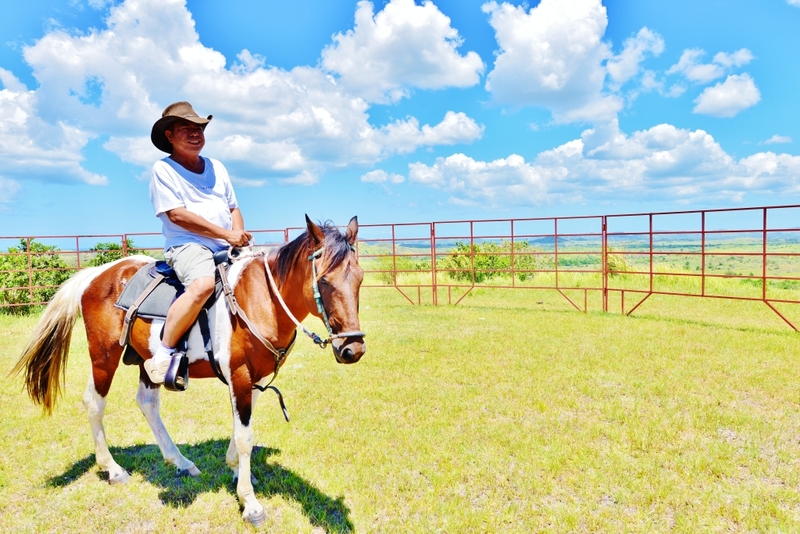 Stay overnight on a pitched tent on top of a hill within a working ranch. 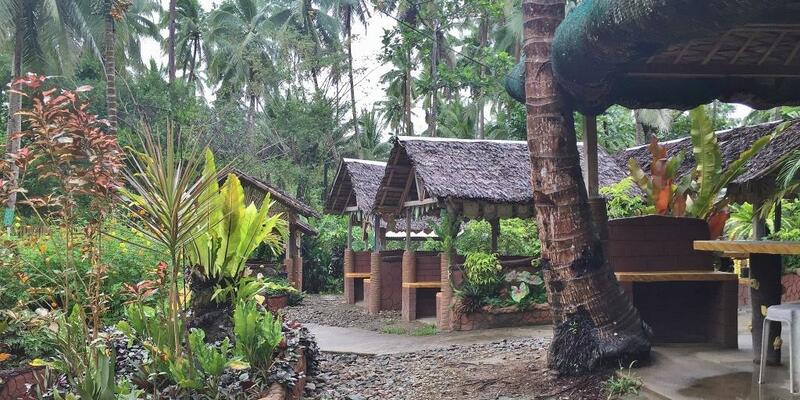 A package of only P600 per head per day includes a pitched tent, with toilet and shower facilities, horseback trail ride, trekking/hiking within the ranch, opportunity to observe cattle herding, opportunity to try ranch work like grooming and feeding horses, fence repair and replacement etc. Be a cowboy / cowgirl ! 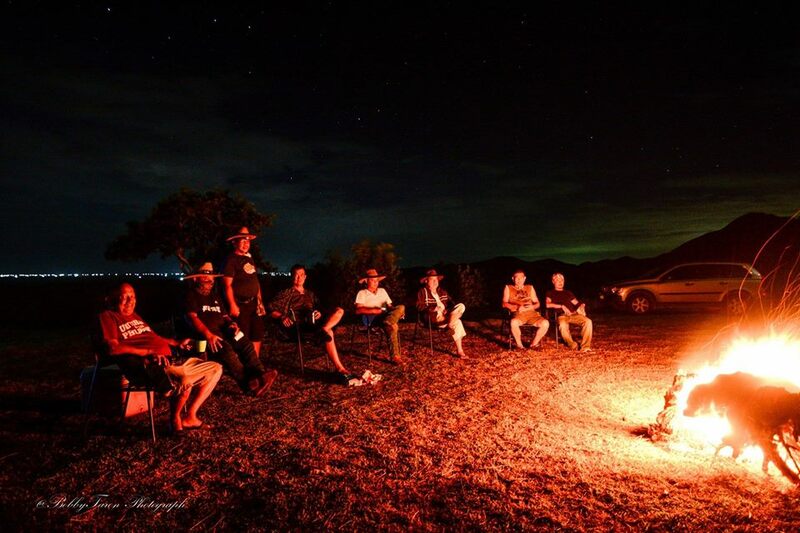 My friends and I pitched tents then, had bonfire at night, and watched the stars as we enjoyed our drinks. 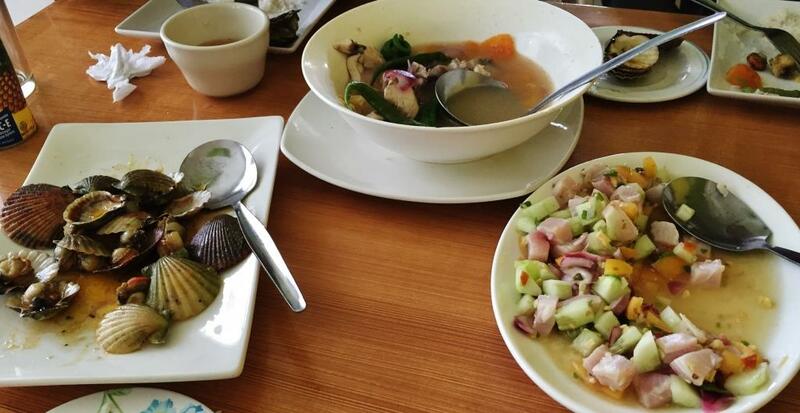 Philippine Airlines flies to Masbate daily. 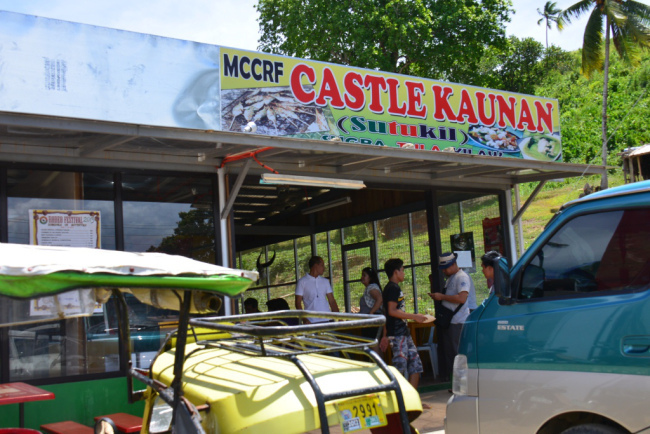 Visitors can also take a bus from Cubao and go straight to Masbate, via ro-ro in either Pilar or Pio Duran ports. Regular buses cost P1,000 one-way, inclusive of the ro-ro. Special Isarog buses with toilets and reclining seats also ply the route at P2,000n fare one way.